Divorce is an emotional and complicated undertaking, even in the best of situations. When children are involved, there are additional concerns and legal proceedings that affect parental rights and change life as you know it. Educating yourself about your rights and the way the courts review and assign custody arrangements will be helpful when preparing for important and potentially life-altering legal events. If you face child custody hearings or other legal proceedings, you may want to consider consulting a Seattle child custody lawyer who will advocate for you and ensure that you and your child(ren) are treated fairly. In Washington, the courts devise what is called a parenting plan, which governs multiple aspects of child custody. Your parenting plan will likely include the following stipulations. Residence: The parenting plan will dictate where the child will live, with which parent and for what percentage of time. Visitation: The parenting plan will state the agreement for visitation. Decision-making arrangements: Guidelines on how the parents will make important decisions for the child are described in the parenting plan in an effort to minimize arguments. Disputes: A plan for addressing any future disputes between the parents is devised in the parenting plan. Parents have the option to develop their own parenting plan, each with the help of a child custody attorney, and present it to the court. In many cases, if two parents agree on a parenting plan, the judge will accept it and sign it without alteration as long as it serves the best interests of the child. However, if the parents cannot agree on a parenting plan, the matter will go to trial, and the judge will make decisions for the parents. The guiding principle judges use in the state of Washington to develop parenting plans is the best interests of the child. In every divorce and child custody case, the judge will work to determine what living arrangements and visitation plans will serve the needs of the child involved best. The following are some criteria judges use to make these decisions. Financial support: When assigning custody, the judge will consider whether the parents are financially stable and can provide for the material needs of the child. Relationship: The judge will look at the ability of each parent to offer a loving and safe ongoing relationship with the child. Parents who have a history of abuse or neglect typically do not fare well in child custody proceedings. Education: The judge may consider the parents’ involvement in the educational needs of the child in custody proceedings. Basic needs: The judge will consider the parents’ ability to provide basic needs, such as clothes, healthcare, healthy meals and safe child care. In many cases, a judge will review information such as which parent had historically spent more time with the child prior to the divorce, which parent has a better plan for child care and transportation needs, and where any siblings live. Visitation plans are designed to maintain a beneficial and loving relationship between the child and both parents. 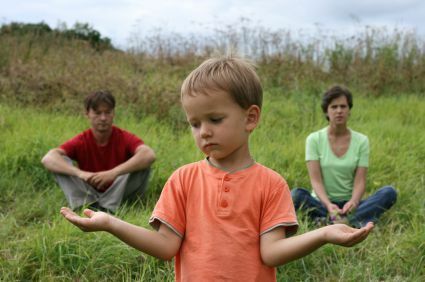 If you’re going through a custody case, make sure you have help from a child custody lawyer in Bellevue. If you believe you need legal representation in your divorce and/or child custody proceedings, we're happy to help. Simply call our Bellevue office at 425-460-0550 to schedule a confidential consultation. You can also schedule a consultation with a child Seattle custody lawyer at our firm by completing our contact form. We take great pride in helping families throughout the challenging process of completing a divorce and establishing a healthy parenting plan for the future.